Like many people, you probably vacillate between eating mostly a healthy diet and sneaking in a few treats here and there. This salad combines the best of both worlds and will please the angel and the demon on each of your shoulders. Broccoli is such a huge superstar in the world of nutrition, even eating a little bacon with your broc won’t cancel out its health benefits. Enjoyed by the ancient Romans, broccoli was introduced to the United States by Italian immigrants, rising to popularity in the 1920s. Orange juice move over - a single serving of broccoli provides over 30mg of vitamin C, over one-third of the recommended daily intake. The health benefits of broccoli are vast; this member of the cabbage family not only delivers high levels of vitamin C, but also dietary fiber and carotenoids like lutein and beta-carotene. 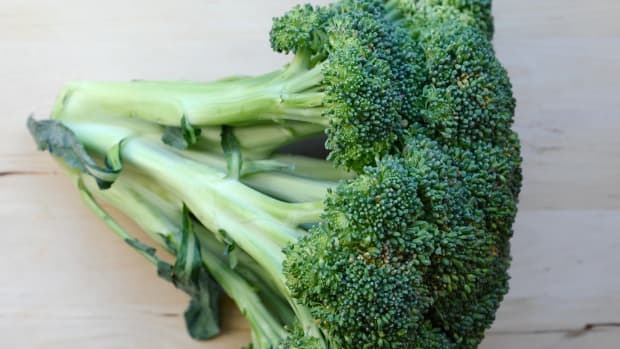 A high intake of broccoli can actually reduce the risk of prostate cancer and has also been shown to be beneficial at preventing heart disease. 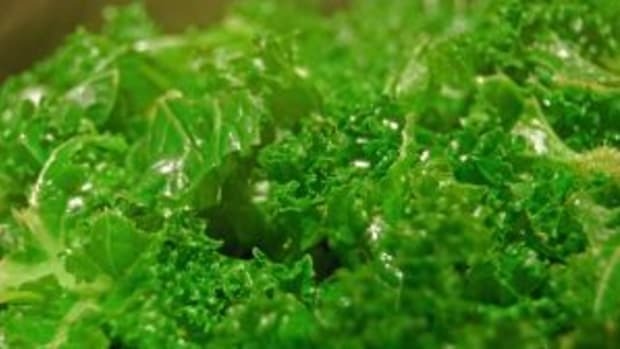 Although some people steam broccoli to death or cover it with neon orange processed cheese, for the best nutritional gains, you should eat broccoli raw, as its anti-cancer compounds such as sulforaphane are reduced when cooked. Bacon, on the other hand, is not such the super food. The cured pork meat is loaded with fat, salt, preservatives like sodium nitrite and sometimes even sugar. The result, unfortunately, is absolutely 100% delicious – but there are ways to make healthy bacon choices. Choose nitrate and nitrite-free bacon such as that made by Applegate Farms, whose preservative-free “Sunday Bacon” is also USDA-certified organic and available to order online. Each piece has only 30 calories! Opt for turkey bacon, which is lower in fat and calories than traditional bacon but similar in flavor. Veggie-bacon is also available, although the taste profile leaves a lot to be desired. All things in moderation. Eating a little bacon here and there isn’t going to kill you; just be sure to balance it out with a healthy diet of whole grains and fresh fruits and vegetables – like broccoli! + salt and pepper to taste. 1. Fry the bacon until crisp, drain and crumble, Set aside. 2. Chop the broccoli head into small florets. Discard the stems, save for another recipe or cook and feed to your dog. 3. Chop the red onion. 4. In a large mixing bowl, combine the broccoli, water chestnuts, onion, bacon and raisins. 5. 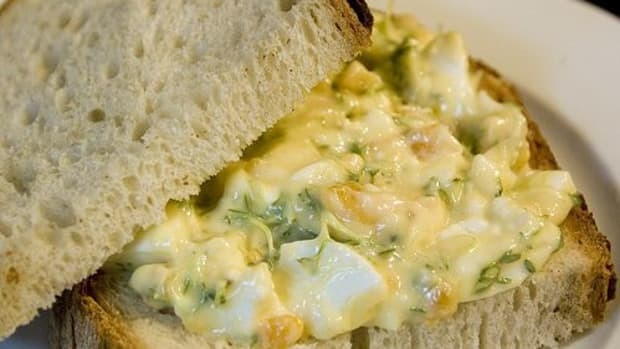 In a separate bowl, whisk together the mayonnaise, sugar and white vinegar. 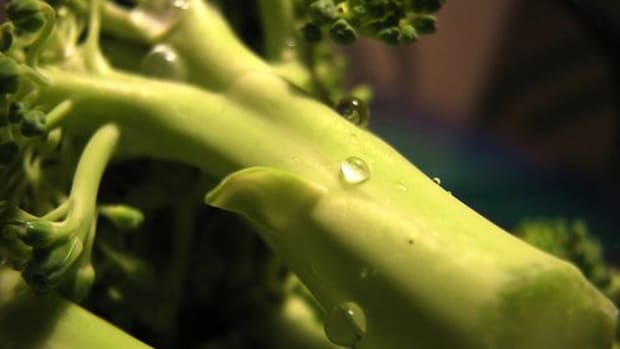 Sprinkle with salt and pepper, then add your dressing to the big bowl of broccoli. 6. Mix everything together well, and chill a few hours before serving. 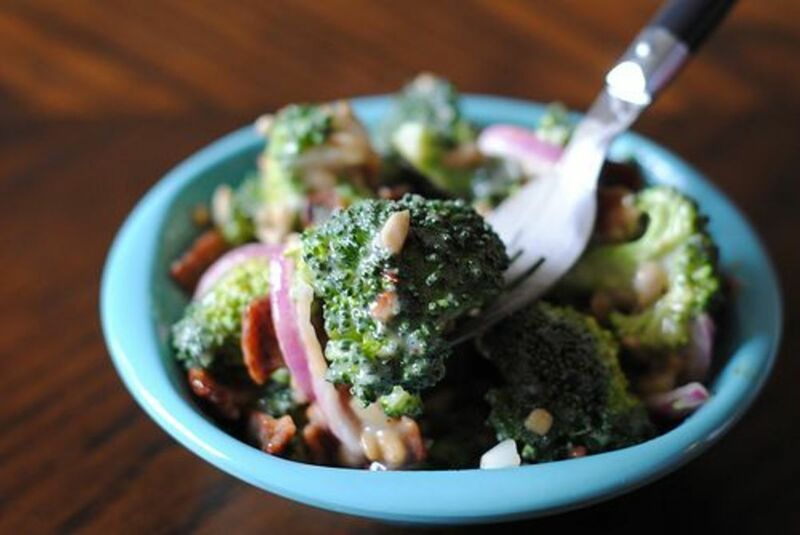 Broccoli bacon salad is delicious on its own, perfect on a picnic or as a side dish at the family barbeque.